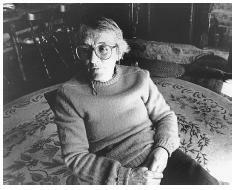 Elisabeth Kübler was born on July 8, 1926, the first of three daughters born that day to a middle class family in Zurich, Switzerland. In her autobiography The Wheel of Life: A Memoir of Living and Dying (1997), Kübler-Ross commented: "For me, being a triplet was a nightmare. I would not wish it on my worst enemy. I had no identity apart from my sisters. . . . It was a heavy psychological weight to carry around." However, as an adult she concluded that the circumstances of her birth "were what gave me the grit, determination and stamina for all the work that lay ahead" and throughout her autobiography she describes herself as independent, unconventional, opinionated, and stubborn (Kübler-Ross 1997, p. 25). "The first big decision I made solely by myself" involved defying her strong-willed father (who planned a secretarial career for her) in favor of her dream to become a doctor (p. 21). At school, Kübler-Ross was an excellent student, especially in math and languages, but not in religious studies. As her church, she preferred nature, pets, and animals of all kinds. One key childhood experience was a hospitalization in which an impersonal and uncaring environment isolated and separated her from her family. She often describes later encounters with conventional medical care in a similar way. In the spring of 1942, the triplets completed their public schooling. Unwilling to become a secretary, Kübler-Ross took jobs as a maid and laboratory assistant. At the end of World War II, she volunteered to work in several areas of war-torn Europe. In Poland, necessity compelled her to practice rudimentary medicine and she was deeply moved by the concentration camp at Maidanek where more than 300,000 people had died. An unexpected request to give her first lecture to medical students led psychiatrist Elisabeth Kübler-Ross (1926-) to focus on dying patients to whom she had gravitated because others so often shunned them . medical board examinations and became a physician. In February 1958 she married a fellow medical student from America, Emanuel ("Manny") Ross, and the couple moved to the United States. Becoming pregnant disqualified Kübler-Ross from a residency in pediatrics so she settled for one in psychiatry. There were problems of adapting to a new culture and eventually four miscarriages; as she later wrote, "You may not get what you want, but God always gives you what you need" (p. 111). A son, Kenneth, and a daughter, Barbara, were born in the early 1960s. A new position brought Kübler-Ross to Billings Hospital of the University of Chicago. There, in 1965, four students from Chicago's Theological Seminary approached her to seek assistance in understanding death as the ultimate crisis in life. She offered to help and search out dying patients for interviews. Many physicians at the hospital were critical of Kübler-Ross for what they viewed as "exploiting" vulnerable patients, and the story of her difficulties in locating suitable interviewees is well known. Nevertheless, by early 1967 Kübler-Ross was leading an unorthodox but popular weekly seminar in which she would interview a patient behind one-way glass with a subsequent discussion with students and medical professionals after the patient had left. An offer of a book contract from a publisher led to the international best-seller On Death and Dying (1969). This book developed Kübler-Ross's now well-known theory of five stages in dying: denial, anger, bargaining, depression, and acceptance. As a result of this book, together in an interview with a twenty-one-year-old patient published in Life magazine on November 21, 1969, Kübler-Ross received numerous requests for interviews and lectures. Still, her hospital was not pleased with her success and she transferred to LaRabida Children's Hospital to work with ill and dying children. Finally, at the age of forty-six, she quit that post to do research on what death is like and to conduct weeklong workshops on life, death, and the transition to afterlife. Kübler-Ross's research had convinced her that there was an afterlife. She was intrigued by stories of near-death experiences and experienced her first apparition about this time. As a result, she concluded that death does not exist in its traditional definition; rather it occurs in four distinct phases: (1) floating out of one's body like a butterfly leaving its cocoon, assuming an ethereal shape, experiencing a wholeness, and knowing what is going on around oneself; (2) taking on a state of spirit and energy, not being alone, and meeting a guardian angel or guide; (3) entering a tunnel or transitional gate and feeling a light radiating intense warmth, energy, spirit, and overwhelming love; and (4) being in the presence of the Highest Source and undergoing a life review. At about this time, Kübler-Ross became convinced of the reality of her own spiritual guides and she eventually moved to California in early 1976 to pursue these inquiries. There, she founded a healing center (eventually called Shanti Nilaya, a Sanskrit phrase that she understood to mean "the final home of peace") where she could have a base for her workshops, explore out-of-body experiences, and develop a new lecture entitled "Death and Life after Death." Unfortunately, Kübler-Ross eventually lost confidence in some of her California colleagues and the center's property was sold. In July 1983 Kübler-Ross purchased and later moved to a 300-acre farm in Head Waters, Virginia. There she built her house and a healing center for workshops. Around this time, the situation of persons with AIDS (acquired immunodeficiency syndrome) attracted her attention. However, when in 1985 she announced her intention to adopt AIDS-infected babies, she became, in her words, "the most despised person in the whole Shenandoah Valley" and could not get the necessary zoning approvals to carry out that plan. On October 6, 1994, her house was set on fire and burned to the ground with the complete loss of all her papers and possessions. In the meantime, she experienced heart fibrillations and an eventual stroke. Again, Kübler-Ross had a low opinion of the medical treatment she received. She refused to give up smoking, coffee, and chocolate, and checked herself out of the hospital. After moving to Scottsdale, Arizona, Kübler-Ross experienced a massive stroke on May 14, 1995, that left her paralyzed on her left side and no longer able to live alone. While writing in January 1997, Kübler-Ross said she was enduring a "miserable" life resulting from pain and the limitations of her paralysis. Although she was "anxious to graduate" she remained opposed to efforts to foreshorten life (p. 280). Instead, she asserted that "our only purpose in life is growth" and that her task in these circumstances was to learn patience even as she was totally dependent on others for care (p. 281). On Death and Dying and other books by Kübler-Ross have earned her a worldwide reputation. In addition, large numbers of people have been attracted to her many lectures, presentations, and workshops. Many have credited her with helping to draw attention to problems encountered by dying persons and to their needs as living human beings, thus tending to normalize and humanize such experiences. In all of this, she was an early and important contributor to the death awareness movement. The stage theory of dying that she proposed is simple and easy to learn. Its author and many others have since applied this theory to a wide variety of losses, even while some professionals have criticized its limitations. Her views about the afterlife, spiritual guides, out-of-body experiences, and near-death experiences have been consoling to some, but sharply criticized by others from both scientific and theological perspectives. Gill, Derek. Quest: The Life of Elisabeth Kübler-Ross. New York: Harper and Row, 1980. Kübler-Ross, Elisabeth. The Wheel of Life: A Memoir of Living and Dying. New York: Charles Scribner's Sons, 1997. Kübler-Ross, Elisabeth. On Life after Death. Berkeley, CA: Celestial Arts, 1991. Kübler-Ross, Elisabeth. AIDS: The Ultimate Challenge. New York: Macmillan, 1987. Kübler-Ross, Elisabeth. Living with Death and Dying. New York: Macmillan, 1981. Kübler-Ross, Elisabeth. Death: The Final Stage of Growth. Englewood Cliffs, NJ: Prentice-Hall, 1975. Kübler-Ross, Elisabeth. Questions and Answers on Death and Dying. New York: Macmillan, 1974.